Analysis: Most of our ancestors were from small villages, not big cities, so in all likelihood, Grandma didn’t mean she was from the city of Poznań proper. Often an immigrant would generalize her place of birth to the closest big city under the assumption that her listener wouldn’t recognize the name of whatever small village she was actually born in. We still do this today: if I’m talking with someone who’s not familiar with Western New York, I might say, “I’m originally from Buffalo,” although it would be more accurate to say that I used to live in Williamsville, a village about 12 miles east of the city of Buffalo itself. When I’m talking with another Western New Yorker, I can be more specific. In my family history, the Great-Grandma who said she was from Poznań was from the village of Kowalewo-Opactwo, about 48 miles east. Looking for her in records from the city of Poznań itself would be an exercise in frustration and a waste of time. Analysis: Both. Sometimes our ancestors referenced a larger administrative division rather than the smallest one, just as I might sometimes say I was born in New York, rather than Buffalo. Gather all the bits of evidence for your ancestor’s place of origin, then check a gazetteer to see if they can be reconciled. In this example, the village of Bieżuń was the seat of gmina Bieżuń within the Sierpc powiat and the Płock gubernia of Russian Poland. (A gmina is an administrative division similar to a township, serving multiple small villages, but smaller than a powiat, which is comparable to a county. A gubernia is like a province.) Consequently, any reference to Bieżuń, Sierpc, or Płock on documents pertaining to Great-Grandpa’s place of birth might be consistent with the same location. Not sure which gazetteer to use? Check out the section entitled “Maps, Phonetic Gazetteers, and Period Gazetteers” in this previous post. Analysis: As discussed in a recent post, Poland didn’t exist as an independent nation from 1795 until 1918. So statements like this one, which presuppose that Grandma was born in Poland near the border with Russia, are immediately suspect. In most cases, “near the Russian border” means somewhere in Russian Poland – either the Kingdom of Poland or the Kresy (the eastern borderlands that were part of Poland between the world wars). Similarly, “near the German border” suggests Prussian Poland, and “near the Austrian border” suggests Galicia. In my experience, these “border” stories were an attempt to reconcile the apparent conflict between the fact of someone’s Polish ethnicity and his documented Prussian (for example) nationality. Grandpa may have come from someplace solidly within Prussian Poland, not particularly close to the actual border with Russia, but nonetheless the “border” stories persist. Since ethnicity has more to do with language, culture, and religion than with citizenship, even if Grandpa was a citizen of Prussia, we should not infer that he was ethnically German, for the same reason that I would not suddenly become an ethnic Mexican if Mexico were to invade the U.S. tomorrow. Analysis: I always cringe when I hear accusations that ancestors lied about their age. Unless it’s something really egregious, I like to give Grandma the benefit of the doubt and assume that any discrepancy was an innocent mistake, rather than assuming an intent to deceive. In rural, agrarian society it just wasn’t necessary to know one’s birthdate precisely, and many of our ancestors didn’t know their exact birthdate, or they might remember the day, but not the year. When evaluating records for your Polish ancestor, it’s not uncommon for someone’s reported age to be off by a few years in either direction. This is as true in records from Poland as it is in U.S. records. For example, many parish priests had a tendency to round the ages of declarants and witnesses, which is evident when all the key participants just happen to be 30, 40 or 50 with nary an odd-numbered age in the bunch. Analysis: This is a corollary to the situation described above, but with a twist. Many Americans don’t realize that in Polish culture, name days were traditionally more important than birthdays. Name days (imieniny) are the designated feast days dedicated to canonized saints within the Roman Catholic church. For example, the feast of St. Adalbert is celebrated on April 23, so men named Albert/Adalbert or Wojciech (the equivalent of this name in Polish) would be celebrated on that day, regardless of when their actual birthdays were. In practice, the feast day calendar sometimes influenced the choice of names given to a child, with parents naming their child after a saint whose feast day was on or close to the child’s actual date of birth. However, your mileage may vary with this. In some cases, multiple saints bore the same name throughout history, e.g. St. John the Evangelist, St. John the Baptist, St. John Kanty, St. John of God, St. John Nepomucene, etc., so the same name might have multiple feast days associated with it throughout the year. In this case, there’s really no way of knowing just which Saint John was your ancestor’s patron unless it is specified in his baptismal record. Analysis: This misconception has prevented many a family historian from trying to explore his roots in Poland. I’ll be honest — at one point, I fell for it, too. Back in the earlier days of my research, I determined that my great-grandfather, Józef Zieliński, was born in the village of Mistrzewice, in Młodzieszyn township. Thanks to the old Rootsweb genealogy mailing lists, I found another researcher who was also interested in the Zieliński surname in Młodzieszyn. He’d been to Poland, visited the parish, and assured me that all records prior to 1945 were destroyed. This was about 12 years ago, before it was easy to check online for availability of records in the Polish State Archives, and back before anything much was online, so I don’t blame that researcher at all. He was going on the best information that he had, but it’s up to each of us to do our own due diligence. At that point, I assumed that I would never learn anything more about my Zieliński family in Poland, and with a heavy heart, I moved on to other lines of research. It wasn’t until 2012 that I discovered that some records for Mistrzewice and Młodzieszyn did survive the war, and were indexed on Geneteka. (If you’re interested, that story is told here). Admittedly, the range of years covered by the surviving records is limited, but between these documents and some letter-writing to the local civil registry office (Urząd Stanu Cywilnego, or USC) in Młodzieszyn, I was able to add another 1-3 generations of ancestors (depending on the line) to my Zieliński family tree. If I’d believed the story that all the records were destroyed and had stopped looking, I’d have missed out. These are a few examples of common misunderstandings that I’ve heard from people as they begin to research their Polish ancestry. What about you? What are some misunderstandings that you had when you began your research? What are the stories in your family that you’ve discovered weren’t quite accurate, once you dug a little deeper? I’d love to hear from you in the comments! In the meantime, happy researching. Featured photo credit: Detail of map, “Posen 1905”, courtesy of Wikimedia Commons, is in the public domain. The Advent season, with its preparations for Christmas, is always nostalgic for me. I was very close to my grandparents, John and Helen Zielinski, and Grandpa told me stories of how his mother, Genevieve (née Klaus) Zielinski, loved Christmas, too. He was the oldest of the five children in his family, and at some point before Christmas, she would draw him aside and show him the gifts that she had gathered to give to his younger siblings, sharing with him her anticipation of the joy that those gifts would bring. Of course, she didn’t show him the gifts that he himself would receive, but the honor of being co-conspirator in creating Christmas joy for his siblings was clearly a source of pride for Grandpa. Grandpa’s family also had a tradition of giving the children one gift before Christmas. Whether this custom had its origins in the Polish tradition of gift-giving at the feast of St. Nicholas (Święty Mikołaj) on December 6 is unclear, but Grandpa and Grandma strongly felt that children should not have to wait throughout the whole of Advent without some small gift. As a child, I certainly had no objections to this practice. Grandpa passed away in the pre-dawn darkness of a February night in 2003. He had been suffering from prostate cancer for some time, and we knew the end was near. At the time, I was pregnant with my fourth child, Catherine, and when I spoke with him on the phone for the last time, a few days before he died, Grandpa told me that he was holding out to know that Catherine had arrived into this world safely. Catherine was born a few minutes after dawn, just hours after Grandpa died. He never got to meet her, but I know in my heart that he knew all about her. I’ve tried to share my memories of my grandparents with all my children, especially at Christmas when those memories are so dear and Grandma and Grandpa feel so close. So what does this have to do with Geneteka? Fast-forward to October of 2012. I was still plugging away at my research on Grandpa’s Zieliński’s family, but I hadn’t obtained any information prior to the emigration of Grandpa’s father, Joseph Zielinski, and Joseph’s brother, Frank Zielinski. I had progressed to the point where I had identified the Zielinskis’ ancestral village of Mistrzewice, Mazowieckie province, and I had determined that some records for this parish were held at the Archiwum Państwowe w Warszawie Oddział w Grodzisku Mazowieckim (the Grodzisk Mazowiecki Branch of the Polish State Archive of Warsaw). In October 2012 I wrote a snail-mail letter to the archive to request a copy of my great-grandfather’s birth record, hoping that at last I might have some documentation from Poland for this family. Most of my research in Polish records at this point had been done in LDS microfilms, and I was as yet unaware of the growing treasure-trove of Polish vital records coming online in greater numbers each day. It was while I was waiting for my reply from that archive, that Grandpa gave me my best Christmas gift that year, on December 16 — a little early, because no one should have to wait all the way until Christmas without some small gift. That was the day I discovered Geneteka, and found the birth records for his father, Joseph Zielinski, as well as for Joseph’s brother, Frank Zielinski, and eight other siblings who were previously unknown to our family (Figure 1). Figure 1: Geneteka search results for children of Stanisław Zieliński and Marianna Kalota. For me, finally reading great-grandpa’s baptismal record, after so many years of seeking it, was such a thrill (Figure 2). Figure 2: Baptismal record for Józef Zieliński, son of Stanisław Zieliński and Marianna Kalota. As you may notice, the record is in Russian, which was the required language for all legal documents from this part of Poland at that time. Having this fantastic data set that I couldn’t read because all the records were in Russian, was also a gift in its own way. Although I’d dabbled in Russian translations with a few records before this, it was these records that forced me to finally get serious about learning to read Russian vital records. During the week between Christmas and New Year’s, while we were in Buffalo visiting with our extended family, I sat down and immersed myself in these records and in Shea and Hoffman’s game-changing translation guide until they finally started making sense and I could read them with relative ease. The fact that my family indulged me in that, and gave me the time and space for genealogy research in the midst of holiday cheer, was yet another Christmas gift. Unfortunately, Mistrzewice and Młodzieszyn, the two parishes which held records for my Zieliński family, were in the path of the Nazis in 1939. Many records were destroyed, as was the parish cemetery in Mistrzewice, so my knowledge of the family is incomplete. I do know that my 5x-great-grandparents were Wojciech and Katarzyna (maiden name unknown) Ciećwierz, probably born in the 1790s. Their son, Jan Ciećwierz, married Katarzyna Grzelak about 1836. Jan and Katarzyna’s daughter, Antonina Ciećwierz, married Michał Zieliński circa 1853, and together they had 7 children, including my great-great-grandfather, Stanisław Zieliński, who married Marianna Kalota. Michał Zieliński died in February 1872, a fact which I know only because it was mentioned in the marriage record when his widow Antonina remarried Ludwik Grzegorek. Surviving marriage records for Mistrzewice only go back to 1855, and death records only go back to 1890, so I will never be able to determine Michał’s parents’ names from either his marriage or his death record. On the Kalota side, I can trace back as far as my 4x-great-grandparents, Antoni Kalota and Marianna Wilczek, whose son Roch Kalota married Agata Kurowska, daughter of Andrzej and Katarzyna (maiden name unknown) Kurowski, circa 1855. Had they married in Mistrzewice, their marriage record might have been captured in the surviving records, but unfortuately the Kalota family was from Młodzieszyn, where all the records prior to 1885 were destroyed. Roch and Agata Kalota had six children that I have been able to discover, including my great-great-grandmother, Marianna (née Kalota) Zielińska. Geneteka’s interface has changed considerably since I began my research that Christmas, and it offers more powerful and flexible search options than it did four years ago. Moreover, records are being added to Geneteka regularly, so it’s well worth your time to revisit your research periodically, even if you think you’ve been thorough. For example, a new feature that has been added since I first began researching my Zieliński family is the ability to conduct a province-wide search using both a surname and a maiden name. So I can now search all of Mazowieckie province for records which mention both the names Ciećwierz and Grzelak — which I just did, while writing this blog post, with exciting results (Figure 3)! Figure 3: Search results for Ciećwierz and Grzelak in Mazowieckie province. If you’ll notice, there are three marriages that occurred in Mistrzewice, and I knew about those already. However, there are two births for children of Jan Ciećwierz and Katarzyna Grzelak in the parish of Mikołajew — Feliks in 1838 and Marcjanna in 1840. The dates are right on the money to make them siblings of my 3x-great-grandmother, Antonina (née Ciećwierz) Zielińska. Moreover, there is an 1830 marriage record for a Marianna Ciećwierz to a Karol Grzelak, also in Mikołajew, as well the death record for this same woman five years later. If you hover your cursor over the “i” in that indexed entry for the death record, you see that Marianna was age 25 when she died and her maiden name was indeed Ciećwierz. The death index specifies that the parents of Marianna (née Ciećwierz) Grzelak were Wojciech and Katarzyna, which means that Marianna was most likely a sister to my 4x-great-grandfather Jan Ciećwierz. Jan’s death record from 1897 states that he was age 82 when he died, suggesting a birth year of 1815, and if Marianna was 25 when she died in 1835, then she was born in 1810 — just 5 years older than Jan. The fact that these records are from Mikołajew is also fascinating to me. My great-grandfather, Joseph Zielinski, emigrated in 1912 with his cousin, Stanley Mikołajewski. Although he initially settled in North Tonawanda, New York, where my family lived, Stanley eventually moved on to Cleveland where he changed the family surname to Michaels. The families remained close and would often travel back and forth between North Tonawanda and Cleveland for visits. Etymologically, “Mikołajewski” is a topographic surname, deriving from the names of towns such as Mikołajew.1 So essentially, the surname “Mikołajewski” means, “that guy from Mikołajew,” and I have long suspected that the Mikołajewskis who settled in Młodzieszyn and married into my Kalota family, must have been from the nearby village of Mikołajew originally (Figure 4). Figure 4: Map showing proximity of Mikołajew to Młodzieszyn and Mistrzewice. Surnames were often surprisingly changeable in the first half of the 19th century in Poland, and as I consider these new data, I wonder if perhaps it was Stanley Mikołajewski’s grandfather or great-grandfather who might have used a different surname previously, but migrated to Młodzieszyn, perhaps at the same time as my Ciećwierz ancestors, and became known as “Mikołajewski.” Further pondering and research are required to fully understand all this, but at the moment, I’m thrilled with this wonderful new discovery! Somehow, it seems like another Christmas gift from Grandpa in heaven. Those of us with ancestors who immigrated to America in the 19th and early 20th centuries know how valuable passenger manifests can be, as they often provide the name of the immigrant’s place of birth. We also know how frustrating it can sometimes be to find those immigrants in indexed databases such as Ellis Island and Ancestry. Today I’d like to review some basic concepts regarding passenger manifests, and then share a few tips for finding your ancestors in those databases. It helps to begin with an understanding of the manifests themselves and how they were created. There’s a persistent myth in American culture that names were changed at Ellis Island. This article explains more fully why that isn’t true, but the short version is that the manifests were recorded at the port of embarkation, and Ellis Island officials were merely working from those original lists. Many of these manifests recorded at ports of embarkation did not survive. For example, most of the Bremen lists were destroyed due to lack of space in the Bremen Archives. However, the Hamburg emigration lists recorded between 1850-1934 have largely survived, and sometimes it’s possible to find both the outgoing Hamburg manifest and the incoming Port of New York manifest for the same immigrant. There are undoubtedly errors in spelling and transliteration that occurred on these passenger manifests, but most of the name changes that people attribute to “Ellis Island” were adopted by the immigrants themselves as part of their efforts to assimilate into American culture. In my experience, far more dramatic spelling errors were created during the process of transcribing and indexing the passenger manifests to create a searchable database, than occurred during the original recording of the manifests. I don’t want to place too much blame on the indexers here, as they’re faced with a formidable task. Anyone who’s ever looked at a passenger manifest knows that the handwriting can be cramped and illegible, the manifest might have been torn, taped, or faded, and the microfilmed image might be blurry or grainy. Combine this with the fact that you might see on the same page immigrants from a variety of different countries, each with its own language and maybe its own alphabet, and it’s immediately clear that indexers are brave and hardy heroes, indeed. Faced with all these obstacles, how do we find our immigrant ancestors on those manifests? 2. Try leaving off the surname entirely. In cases where I suspect a surname has been butchered in the transcription, I sometimes omit it entirely, and search for the immigrant based on other identifying information. For example, I could search for my great-grandmother, Weronika Grzesiak, by looking for a female passenger named Weronika, born about 1876, stating Polish ethnicity, arriving about 1898. 3. Play with the search parameters. If your parameters are too specific, you get too few hits, but if they’re too broad, you get too many, so try tinkering with them one by one. Sometimes male passengers are marked as female and vice versa, sometimes first and last names are reversed, and that “race/nationality” box is tricky for Poles, who might be marked as Polish, Russian, German, or Austrian. Be flexible. 4. Determine your ancestor’s name at the time of immigration before you search. I’d bet a million dollars that a Polish ancestor named “Walter Cherry” will not be listed under that name on his passenger manifest. There’s a good chance you’d find him under “Władysław Wiśniewski,” though. That’s because many of our ancestors adopted new given names, or new versions of their surnames, as part of their efforts to assimilate into American culture. Some common name changes among Polish-Americans were Władysław to Walter, Stanisław to Stanley, Czesław to Chester, Bronisław to Bruno, and Wojciech to Albert or George. For women, common changes include Jadwiga to Ida or Hattie, Władysława to Lottie or Charlotte, Pelagia to Pearl, and Bronisława to Bertha. These are generalizations, and it’s important to recognize that there were no hard and fast rules. You need to do research into your own family history to determine the names that your immigrant ancestors used. (See here for my story of my challenge in finding the passenger manifest for an immigrant who used Edward in the U.S. when his real name was Stanisław!) For Polish ancestors who settled in the U.S., try checking church records from the parish they attended here, as those are frequently a good clue to their original names. 5. Familiarize yourself with spelling and pronunciation rules in your ancestor’s native language. In Polish, “Szcz” is a common combination of two digraphs (sz and cz), and there are a lot of surnames that start this way. In contrast, surnames that start with “Lz” are quite rare (I found exactly one example, Lzarewicz, which belonged to exactly 1 person in Poland as of 1990, in this database). So when your search results at Ellis Island or Ancestry include results for passengers with names like “Lzczerba,” “Lzcrepaniak,” and “Lzcsepansky,” you can bet that those names are misspelled and actually start with “S.” In these examples, when I checked the original image of the manifest, those names were clearly Szczerba, Szczepaniak, and Szczepansky. 6. Databases index differently, so if you can’t find your ancestor in one database, check another. My husband’s great-grandfather had a sister named Marcjanna Szczepankiewicz who was indexed on Ellis Island as “Marcyanna Sezezefsankiewiez” and on Ancestry as “Marcyanna Sczezyoankiemg.” On the manifest, the surname is clearly “Szczepankiewicz,” so this is a case of the indexers having no familiarity with Polish surnames. Even better, in looking up those examples, I came across one poor guy who was indexed on Ancestry as a 24-year-old Ruthenian woman named “Fazel Lzczzvca.” I took a look at the actual manifest, and the passenger was a 24-year-old Ruthenian man named Józef Szczyrba. I didn’t have the heart to see how he was indexed on Ellis Island, and I don’t know whether to laugh or cry. 7. Give Steve Morse’s site a try. If you’re not familiar with Steve Morse’s website, you’re missing out. He’s got a variety of very helpful tools for genealogists, including resources for translations, DNA, searching census records, and a search portal for the different immigration databases (both free, like Ellis Island and Castle Garden, and paid, like Ancestry). I used to use his search portal all the time back in the late 1990s/early 2000s, because it was far superior to Ellis Island‘s search portal for the same data. But to be honest, a lot has changed since then, and both Ancestry and Ellis Island now offer fairly powerful, flexible search parameters that are comparable to Steve Morse’s. However, you may find that his search page is laid out in a more intuitive fashion, so it can’t hurt to try if you’re not having luck with the other search engines. 8. If you already know your ancestor’s hometown but you still can’t find his manifest, try searching according to place of origin. This technique is not only useful for finding missing manifests, but also can sometimes be used to gain insight into the family groups in your ancestral village. For example, one of my ancestral parishes is Młodzieszyn in Sochaczew County, Poland. Records for Młodzieszyn were largely destroyed in World War II, leaving only records from 1885-1908. 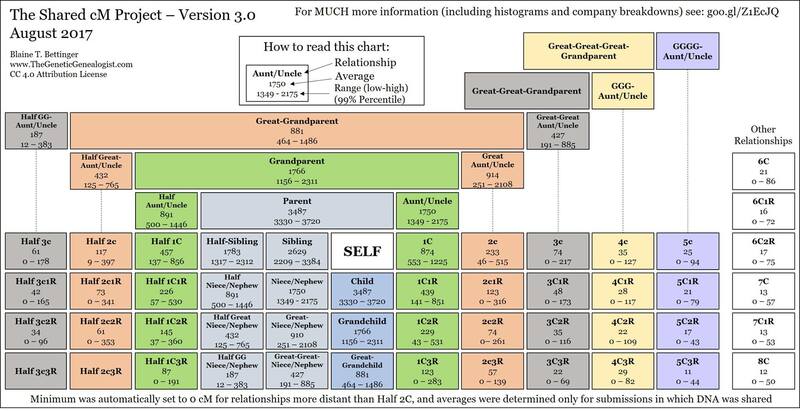 So, my understanding of my family history there is very incomplete. However, I’ve discovered that passenger records can offer a surprising amount of information to help fill in some of these blanks. Manifests for emigrants from Młodzieszyn have given me their names, approximate birth dates, and the names and relationships of contacts in the new world (often family members), as well as the names and relationships of family members still living in their former home town. Many of these emigrants were born before 1885 when existing birth records for Młodzieszyn begin, so their passenger manifests are incredibly useful in constructing family groups. Of course, one problem with this is that the hometown is just as likely to be misspelled as the passenger’s name, but it’s still worth a shot. 9. If your ancestor has a common name but he immigrated with other family members, try searching for the manifest using the family member with the least common name. For example, “Nowak” is the most common Polish surname there is, so if your great-grandfather was Jan Nowak, you’ll probably have to wade through a lot of manifests to find the right one. But if you have reason to believe that he emigrated at the same time as his wife, Pelagia, try searching for her instead. 10. If your ancestor naturalized after 1906, get his naturalization papers first, then try to find his manifest. I was really stuck trying to find a manifest for my husband’s great-grandfather Joseph Bartoszewicz. He was supposed to have come in with a large family group, and I’d tried pretty much all the tips I mentioned here, but I just couldn’t tease the data out of the search engines. However, he naturalized in 1914, and after 1906, Petitions for Naturalization included questions about the person’s arrival date in the U.S., the port of entry, and the name of the ship. I obtained Joseph’s naturalization petition, which told me that he arrived on 12 October 1890 in the Port of Philadelphia on the ship Pennsylvania. Great! Only I still couldn’t find him, using that date as an exact search term. Further investigation revealed that Joseph reported his arrival date inaccurately — the Pennsylvania did not arrive in Philadelphia on 12 October 1890, but rather on the 13th. I finally found Joseph and his family by browsing through the manifest page by page. If you’ve been struggling to find the right passenger manifests for your family, know that you’re not alone. It can certainly be frustrating sometimes, and we’ve all been there. But persistence and flexible search strategies will usually pay off. As always, I’m happy to hear from other researchers, so if you try some of these strategies and they work for you, or if you’d like to offer other suggestions, please leave a note in the comments. Happy researching!